Minto Mahogany – just a quick walk from all the village charm and locally-owned boutiques and bistros that Manotick has to offer. A community like no other, Mahogany weaves around luxurious green spaces, ponds, and family-friendly parks for a more healthy, refreshing place to live. 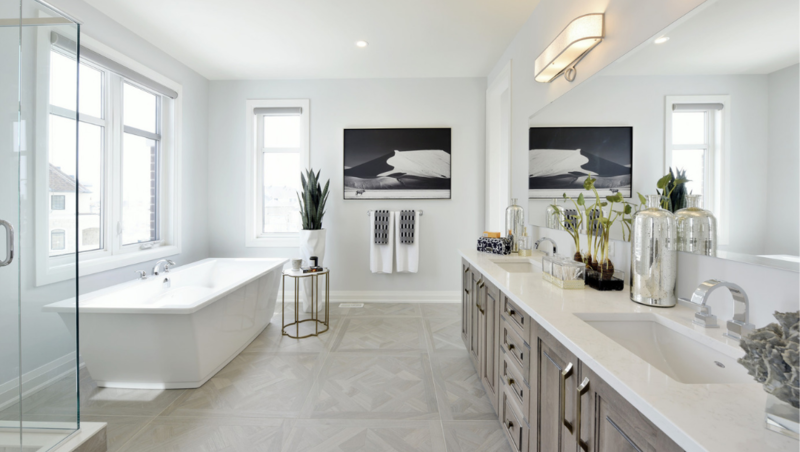 With homes starting from $434,900, the decision to live in Mahogany, Manotick is an easy one — choosing which design from Minto Communities’ expansive collection is the right one for you and your family is the hard part. But, with dozens of expertly crafted floorplans to choose from, plus even more exterior designs styled to suit the charming village atmosphere of the Manotick community, and countless quality interior finishes, you’re sure to find your match. Starting from $529,900, Single Family Homes in Mahogany, Manotick are unique to the community. You won’t find the four-bedroom, 2536 sq. ft. Heartwood II anywhere else. 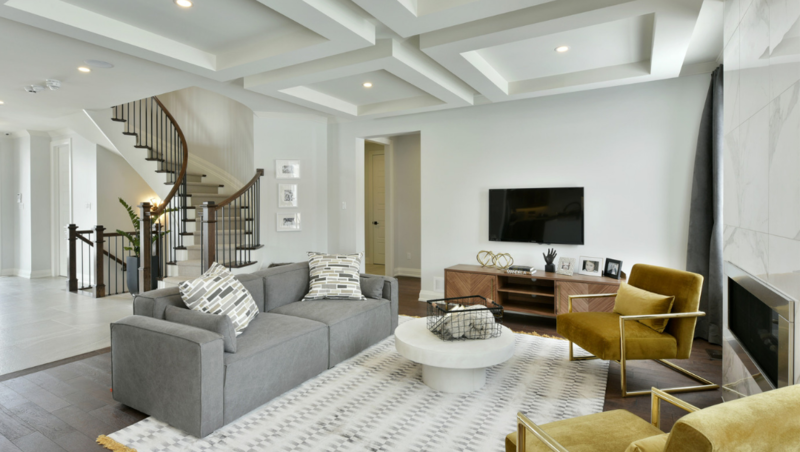 Each home has something special, but they’re united in a common theme — open, flowing living spaces designed to bring your family together and foster a connective spirit. Fewer walls separate the main floor, and with larger windows, your personal oasis is bathed in natural light throughout the day. Bring out your family’s personality inside by choosing from carefully selected fixtures and finishes at the Minto Design Centre where a dedicated Design Consultant works with you, one-on-one, to bring your interior designer dreams to life. No matter how much space your family needs, a Mahogany home will fit the bill. Choose from 38’, 45’ and 52’ Single Family Home sizes, with plenty of room for fun features like a den, mudroom, upstairs sitting area, or butler’s pantry in many of our models. 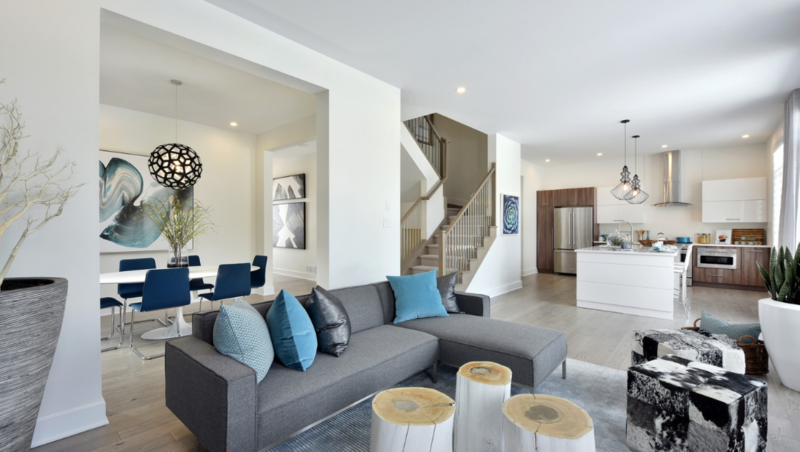 There’s also a brand new collection of Bungalow Townhomes available – designed as cozy, single-level homes gathered together, each with their own unique exterior design and colour scheme to bring out their personality. Mahogany homes are built on larger and deeper lots, too. You’ll have extra outdoor space and some lots in the newest phase of the community even back on to Mahogany Creek for an added touch of nature. Minto Mahogany is on sale now in Manotick, with homes from $434,900. Visit the Mahogany Sales Centre at 108 Moretto Court, Manotick where you can learn more about the full collection of homes including Bungalow models, and the brand new two-bedroom Bungalow Townhomes. 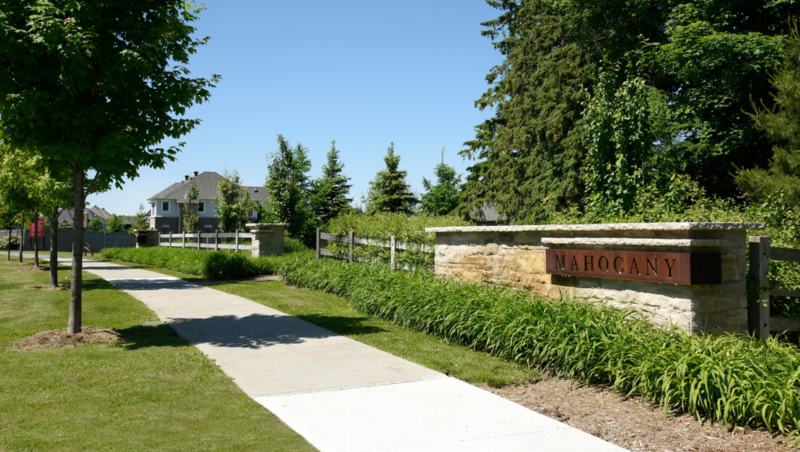 Find your home in Mahogany and join over 200 neighbours that proudly call this premier Minto community home.